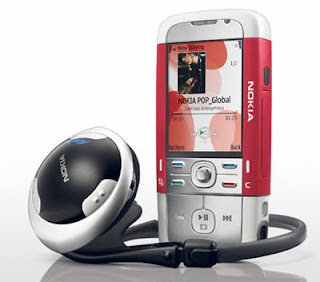 The Nokia 5700 XpressMusic is new Nokia XpressMusic Phone. This stylish phone has all that you want to shake your Musics' world - with stereo loudspeaker, the cool "twisting and play musics" phone design, large and bright QVGA2.2" video screen, 1GB memory function and 3G downloader. *** Total storage capacity is limited by the number and file format of songs. Storage capacity is approximate and based on 3 minutes and 45 seconds per song and 48 kbps eAAC+ encoding. Actual storage capacity is dependent on sales package configuration.